Do you remember how special it was when you were traveling and purchased products that were only available in the country you have been to? Well, this changed immensely over the past years. Not only with special treats or food but also with fashion, accessories and more. You probably experienced this phenomenon many times when you were traveling and visiting different kind of cities. As soon as you enter the big shopping streets, they don't differ so much from each other. Actually, you will always see the same chain stores to be strung together. Doesn't really feel like you are discovering something new on your adventures in different countries, does it? Maybe this is exactly the reason why so many retailers struggle to increase traffic and sales in their brick and mortar stores. Customers are bored, they are in need of discovering new things. Not only whilst traveling but even more when visiting shops at their hometown for multiple times. How often did we hear that consumers do not only want to be shopping anymore but to be entertained. Well, you certainly already understood. This is where the idea of concept stores excels. Unibox defines a concept store as a place where new ideas are put together in a bid to enhance the shopper experience and boost sales. The assortment of concept stores is a joyful mix of different kinds of products. They are carefully curated and characterized by a unique selection of products that connect to an overarching theme. Whether they sell books, beauty, fashion, food or homeware items, the collection might be diverse but always tailored to a specific target group. Alongside the concept of offering different kind of products, creating unforgettable customer experiences plays a huge role as well. You might enter a concept store because you saw a beautiful dress in the window display, and then you get sight of a little café just up the staircase that offers you to not only shop but also rest and enjoy a hot coffee in between. There exist concept stores who integrate cafés, art exhibitions or even hair salons into their retail spaces. Most importantly, concept stores are designed to inspire their shoppers. Although the conversation is always about establishing exceptional customer experiences and that customers want to be surprised, you shouldn't mix up surprising with overwhelming. Implementing all sorts of technology to keep your store as interesting as possible is not the way it is supposed to be done. There are a lot of people who see shopping as a rather stressful activity and try to avoid it because they are overwhelmed by the offer. That's where retailers should try to compensate and give the customer a feel-good-feeling during their shopping journey. Because it’s important to understand the crucial difference: consumers don't want stuff anymore, they want memories. Brands are coming up with all kinds of new retail experiences to keep staying relevant in the business. A nice example is how sporting goods retailer DW Fitness implemented the so-called in-gym advertising cooperating with Nike. They acquired Fitness First's chain of 62 gyms and since then experimented with how to increase sales by gym-goers. Introducing Run Labs and "pop-up" gym-classes into their store really shows an innovative way of retailing. It just makes sense thinking of people who go to the gym wanting to be served the best gym product. Purchasing it from that entity feels probably the most comfortable for them. Another concept store worth looking at is the Manhattan-based shop STORY (see header picture). They sell things like a normal store but take over the point of view of a magazine, changing their assortment like a gallery, every four to eight weeks. It's always different but never random. Each redesign tells a certain story following a unique theme. What is it that makes the customer come back? There is always something else to discover, another STORY to listen to and get inspired. 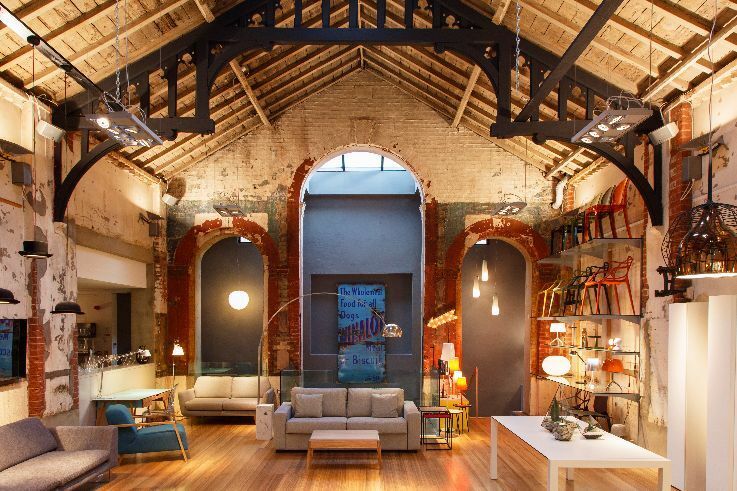 You could easily spend a whole day at Casa Cavia in Buenos Aires. In this little wonderland restaurants, a publishing house, a bookstore, a florist and a perfumery come together. In the courtyard, you can enjoy cool drinks at the bar and talk about your new purchases with your friends or plan the next shopping trip. Amsterdam is known to be a very innovative and creative city. No wonder you will walk around the trendy neighbourhood of De Pijp or cruise through the 9 streets, and find a lot of individual concept stores, that just want to make you stop and take a picture for your Instagram. Restored for example offers a collection of clothing, living accessories, books and jewellery, and the products are mostly handmade and unique. The store implements the element of personalization for their customer experience. You can compose your jewelry like a necklace or bracelet. The customer knows he is getting something special with leaving the store, and this is in the end what we all want after we went shopping, right? Therefore, let’s think of how retailers can shape a much more interesting experience for their customers when applying the approach of concept stores. This way physical shopping experiences are able to re-attract more shoppers into your store and turn them into actual buyers and loyal returners. Sounds great, doesn’t it?